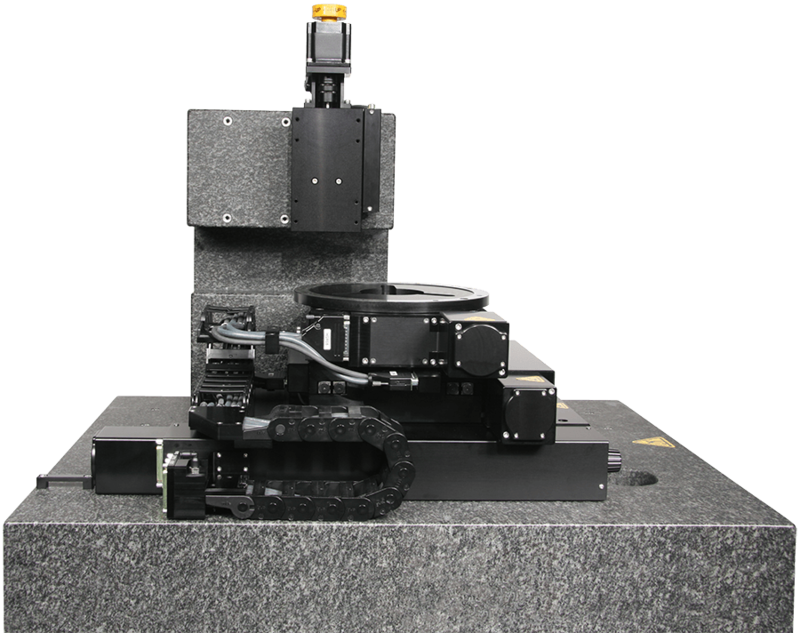 XYΘZ Metrology Platform | OEM Motion Solutions | Reliant Systems, Inc. 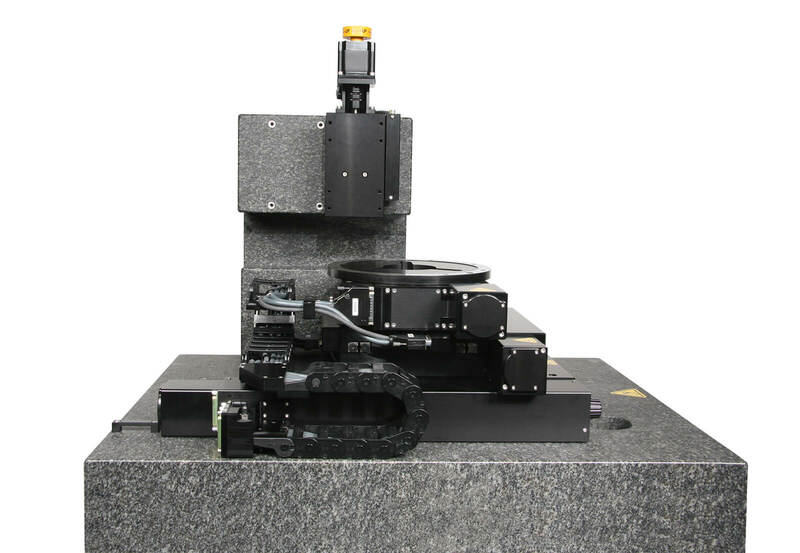 This four axis platform is integrated into an automated metrology system used for semiconductor research and process development. For this application, stiffness is critical so to minimize cantilevers the 350mm x 100mm XY stage is an 8” wide version of our CS crossed roller bearing stage series. Because this is a hybrid R-Theta configuration, the theta axis is our HSR08 rotary stage with a high resolution, direct mounted rotary encoder. Bidirectional repeatability at a radius of 150mm is better than ±0.75μm. The HS60 stage used for Z is a focus axis. Positioning sensitivity is important, so the HS60 is equipped with a very fine pitch drive screw and a 0.45° stepper motor. The system is fully cable managed, including support for additional motorized functions mounted to the HSR08. All four axes are mounted and aligned to a custom granite base and pillar.